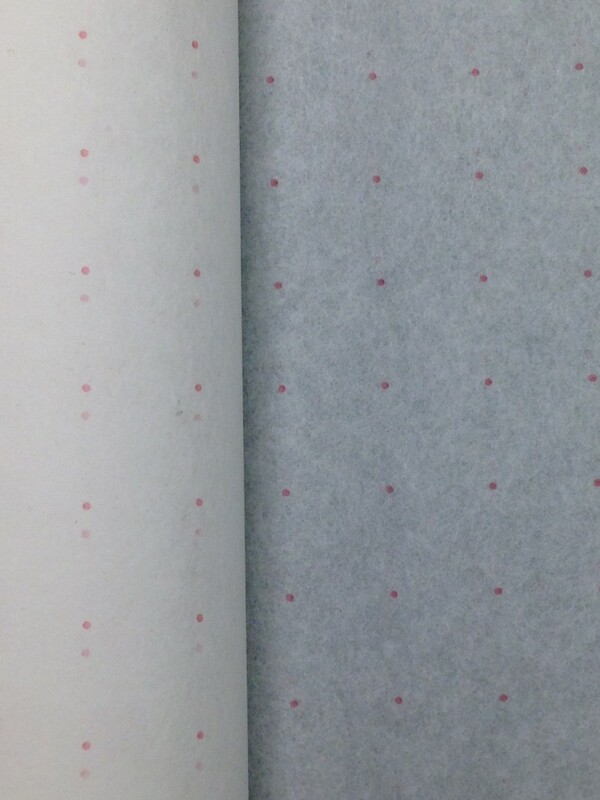 Red Dot Tracer is a thin non-woven product that is perfect for transferring your designs from paper to foundation cloth. The dots form a one-inch grid for easy drawing and transferring. Chapter 5 in my book, Introduction To Rug Hooking, describes how to use Red Dot Tracer. Each package contains 3 yards and is 46″ wide.